Singapore has strict environmental regulations and there is an authority requirement to minimise any fugitive dust from industrial operations. Local people were resistant to the proposed power plant because they were worried that it would look like a typical dirty, coal-fired power plant. Dust emissions were of particular concern. 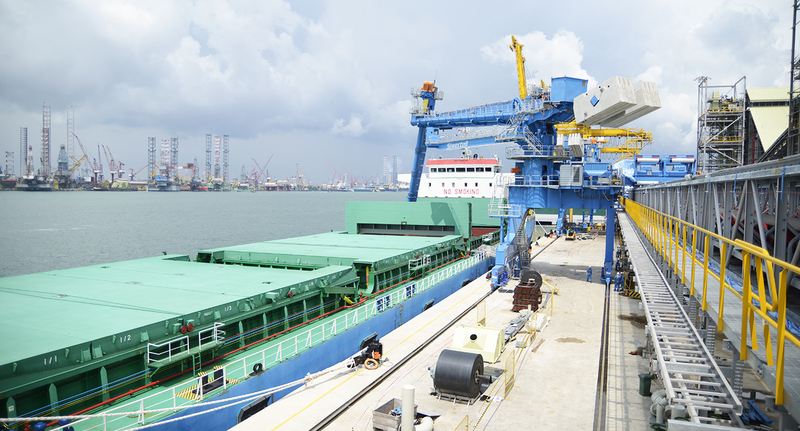 TP Utilities, a subsidiary of Tuas Power, required all equipment and systems within TMUC to be configured to optimise efficiency; resulting in a total system efficiency of around 70 percent. 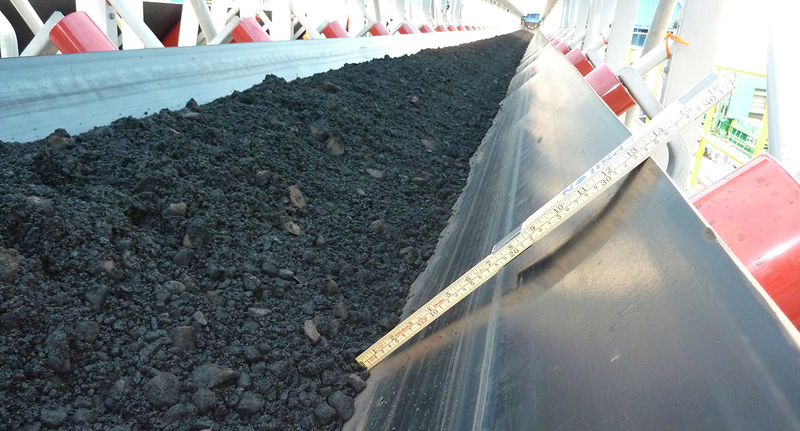 Siwertell had to meet or exceed this efficiency requirement and deliver a coal handling rate of 1,000t/h. Excellent reliability was essential, along with exceptionally clean coal and biomass unloading and transfer operations to meet local regulations and gain public acceptance. 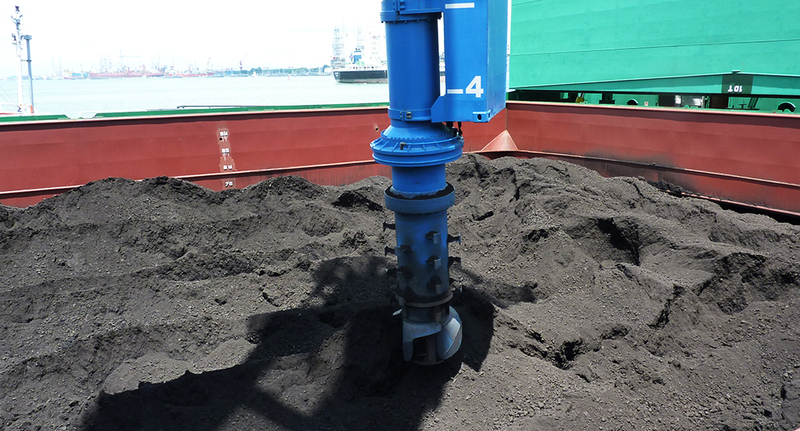 Siwertell’s screw-type unloaders were the natural solution for Tuas. To ensure extremely clean, dust free operations, Siwertell designed the system with all transfer points fully-enclosed and equipped with dust collectors. In addition to two ST 640 M unloaders, Siwertell was responsible for the design, manufacture, delivery and installation of three bucket elevators and 13 covered belt conveyors for transporting fuel from the unloaders to three coal storage silos and the biomass flat storage. It also delivered the supporting steel structures, the HMI and the PLC control system. For the belt conveyors, Siwertell designed a complete enclosure including a bottom plate. Belt conveyors offer particular benefits when ordered as part of a complete ship-to-storage system, offering a very efficient, clean and economical overall fuel supply solution. The Siwertell installation has fulfilled its efficiency and environmental requirements. Dust emission is close to zero and the area around the conveying system is very clean. 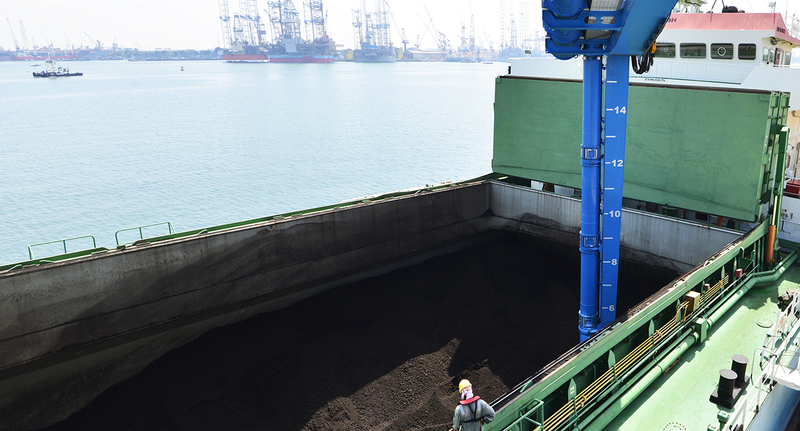 The amount of fuel required for the plant means that the island’s jetties are frequently occupied by bulk carriers delivering coal and biomass. 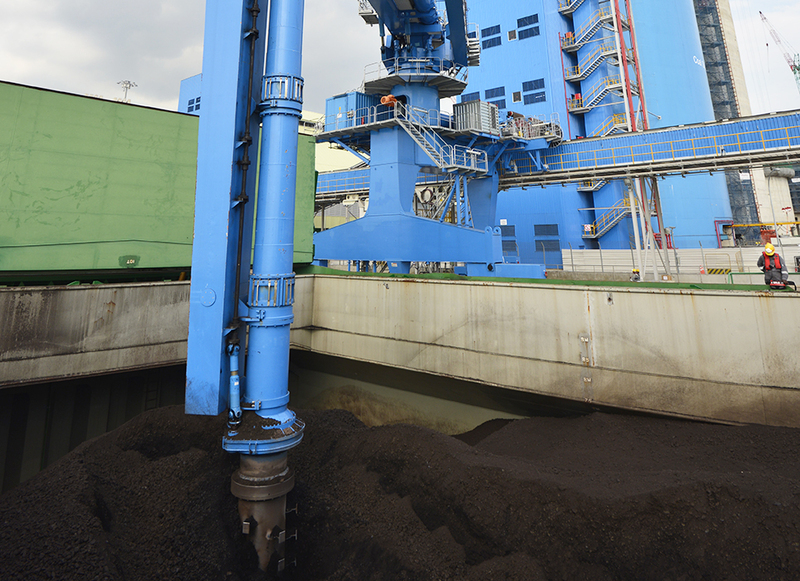 The double conveyor system with two unloaders provides TP Utilities with full fuel supply redundancy all the way from the loaded vessels to the storage facilities. This redundancy is an important factor because a secure fuel supply is critical for the continuous operation of the plant’s circulating fluidised bed (CFB) boilers. It is also an important advantage during maintenance as it ensures that one unit always remains operational.